David DeSimone rejoined the Boston office in 2015 as a Director in the Technology & Telecom Group. David brings more than 15 years of investment banking experience to Capstone Headwaters and will help expand the firm’s technology sector coverage. David has worked on equity, debt and M&A transactions collectively valued at more than $4 billion. Previously, David was a member of the Capstone team for nearly seven years where he led efforts in the Technology Solutions vertical as a Vice President and Director. Prior to rejoining Capstone, David served as a Principal at Bowen Advisors, an M&A and strategic advisory firm focused on technology companies including communications and healthcare IT. 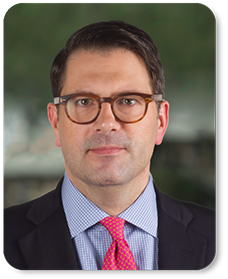 David has also worked as a Vice President at Boenning & Scattergood, a Philadelphia-based middle market investment bank, where he worked with clients across a variety of industries and developed the firm’s technology practice. He spent his early career working at Needham & Company, RobertsonStephens and J.P. Morgan.